Virginia Military Institute received a A.
U.S. News & World Report's ranking of 4 out of 10 of National Liberal Arts Colleges Top Public Rankings was a major contributor to this grade. Concepts like integrity, duty, self-discipline, self-reliance, and loyalty are all the rage at the Virginia Military Institute in historic Lexington, the nation's oldest state-supported military college. VMI cadets live in the barracks, eat together in the mess hall, wear the historic gray cadet uniform, and live by a strict combination of rules and traditions. What is a typical Virginia Military Institute student like? Describe the type of person that should attend Virginia Military Institute. What are the top 3 reasons someone should attend Virginia Military Institute? What was a typical Virginia Military Institute student like in high school? Describe the type of person that should attend Virginia Military Institute. Therefore, it is the mission of the Virginia Military Institute to produce educated, honorable men and women, prepared for the varied work of civil life, imbued with love of learning, confident in the functions and attitudes of leadership, possessing a high sense of public service, advocates of the American democracy and free enterprise system, and ready as citizen-soldiers to defend their country in time of national peril. To accomplish this result, Virginia Military Institute shall provide to qualified young men and women undergraduate education of highest quality - embracing engineering, science, and the arts - conducted in and facilitated by the unique VMI system of military discipline. What are the top 3 things that students do for fun at Virginia Military Institute? Questions and all offers have been measured for the people. The rank of the file and online academic writing company is accentuated for the enhancement of the goals. The file is opened for the addition of the knowledge. The average student pays $16,633 for tuition, fees, and other expenses, after grants and scholarships. Learn more about financial aid at http://www.vmi.edu/content.aspx?id=222. Estimate the net price for you at http://www.vmi.edu/content.aspx?tid=36627&id=4294971260. The typical (median) early career salary of Virginia Military Institute graduates is $54,200, according to Payscale. 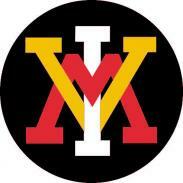 Virginia Military Institute participates in the NCAA Division I-A for college athletics. Want more info about Virginia Military Institute? Get free advice from education experts and Noodle community members. Do you offer MA degree on line?